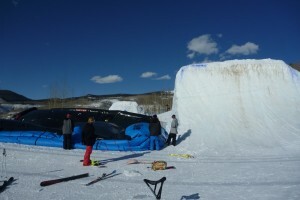 Last week i did another session on the airbag at Vail. 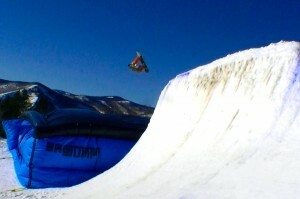 It was a perfect warm sunny day and the pipe wall was a bit soft so it made it really easy to launch off into the bag! I was mainly working on back 5s and a bunch of switch tricks. 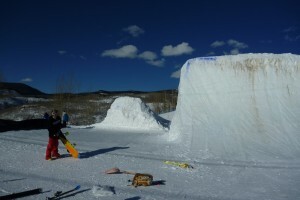 The session was super fun and i was stoked on the awesome day. We even had the deflate and pack up the airbag!